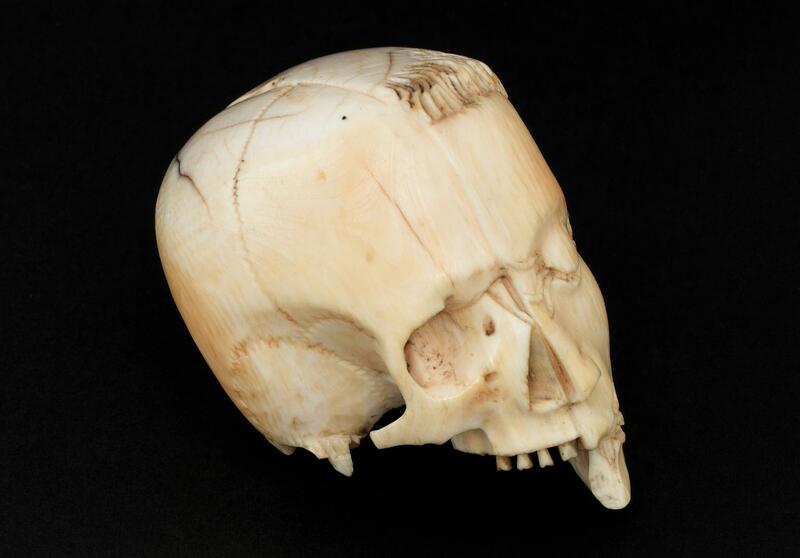 Ivory model of a half head, half skull. Side three quarter view. Black background. 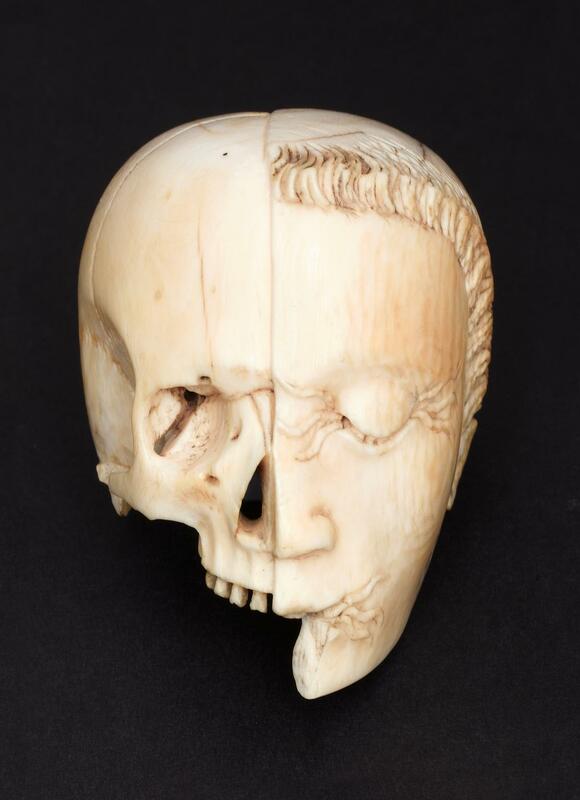 One side of this carved ivory head shows a human face; the other side shows a skull. Not much is known about this model, but it is thought that it is a memento mori – literally a reminder of death and the shortness of life. The skull was the symbol of death from the 1500s onwards. 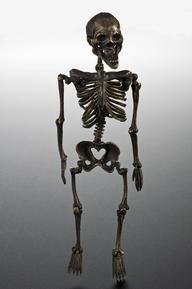 Previously death was represented as a skeleton accompanied by a living victim.